I've discovered Prezzo - probably no big deal to you, but there are not so many Prezzo restaurants in the Midlands and the North of England. They seem to be more plentiful in the south of the UK. 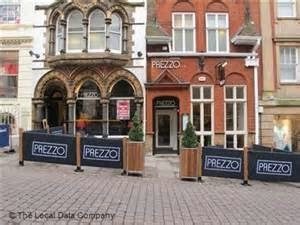 This weekend I made a second visit to a Prezzo place, having tried their Cheltenham branch a few weeks ago. 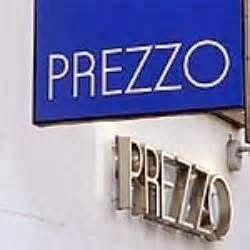 This time I tried one of the two Nottingham restaurants and I must say that there is a consistently good feel to Prezzo. Nottingham's Prezzo Two is conveniently situated in the centre of town, next to Paul Smith's exclusive shop, with some outside seating for the smokers (above). We took an inside table for two near the window and we were promptly served with our drinks of water and wine and ordered from Prezzo's standard menu. There is a range of pizza, pasta and grill dishes on the menu plus a daily range of 'specials'. 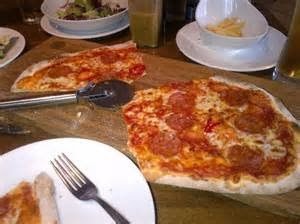 One of the reasons why we returned to Prezzo so soon, was that my wife likes their 'Pizza Light' - a half side pizza with a side salad and dressing. She finds a whole pizza just too much at lunchtime. So she opted for a Ham and Mushroom Pizza Light (£10.25) and I went with the Classic Pizza Fiorentina (£9.15) - a pizza of spinach, a free range egg, grana padano cheese, marinated olives, mozzarella and tomato. The other reason is the high quality food! The food arrived quite quickly and looked impressive. These Prezzo pizzas really are some of the best pizzas I have ever tasted in the UK and get very close to the authentic Italian version that you only get in the home country. 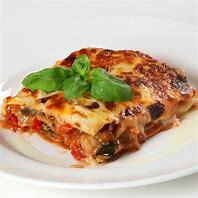 They are beautifully cooked with fresh ingredients, beautiful bases that are not to thick but neither too thin and tasty toppings. I loved the free range egg in the centre of my most colourful dish - cooked to perfection (below). My wife's salad was very fresh and the low calorie Italian dressing a delight. Needless to say empty plates were despatched back to the kitchen and I finished my meal with two scoops of Gelupo gelato - Hazlenut and Banana Stracciatella, (£3.80) and my wife, an Italian coffee. 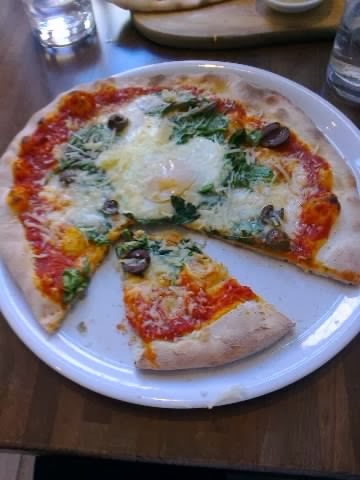 I highly recommend Prezzo for the best pizzas I have tasted outside Italy - far better than any of the more well known pizza places - Pizza Express, Pizza Hut, Ask, Zizzis etc. They may be a little more expensive but you get what you pay for - quality. However, it is strange how the Pizza Light is £1 more than the Pizza Classic when it is half the size!